The financial account associated with this event has been deleted. Please contact Base Camps for further assistance. 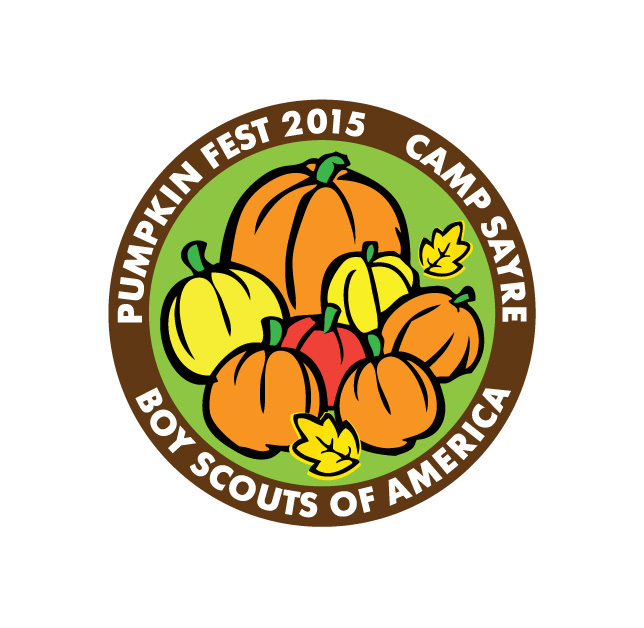 Pumpkin Fest is at Camp Sayre in Milton. Come see just how much fun you can have with Pumpkins and enjoy a day at camp. The cost with your advanced registration is $25. Pay at the door and the cost is $35. Participants go home with a pumpkin, a patch, prizes, a smile, (1st 1000 youth to register online get a back pack), and great memories. **Parents attend for free with their Cub Scouts and do not need to pay unless you want a pumpkin and a patch - there are commemorative drawn string backpacks for the 1st 1000 youth to register, Pumpkin Fest is a family friendly event and siblings are invited/encouraged to register and attend the event! Cancellations can be made up until October 10, 2015 when registration closes and must be submitted in writing.